"The Extinction Machines Part 3" by Bryan Hitch, Tony S. Daniel, Sandu Florea, and Tomeu Morey. Gah! Aquaman is still all by himself for the third issue in a row. While I'm of course happy he's part of this new series, the attraction (for me) is to have all these heroes interact, so this constant popping back and forth to different locations I find frustrating. 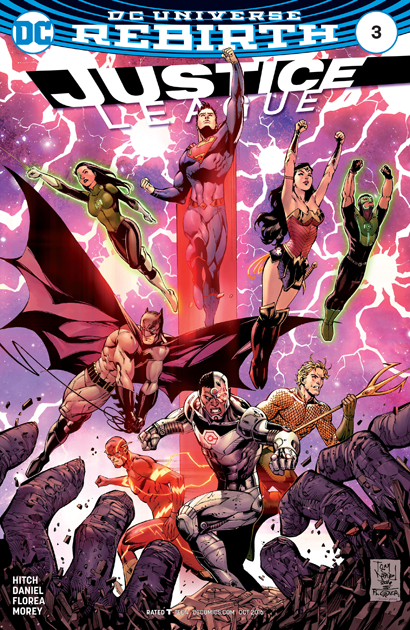 At this rate, we'll have to wait until the final issue of the storyline to see them all together. This way of telling a superhero story is nothing new, of course; Geoff Johns did it a lot during his tenure on the book. But, I dunno, I always hope when a book starts over it takes an opportunity to something different. So far I'm not seeing much of that here, even if (as I mentioned earlier in the week) the artwork is terrific. I like that they are bringing back the zodiac crystals and looks like they will be what will make the league triumph. 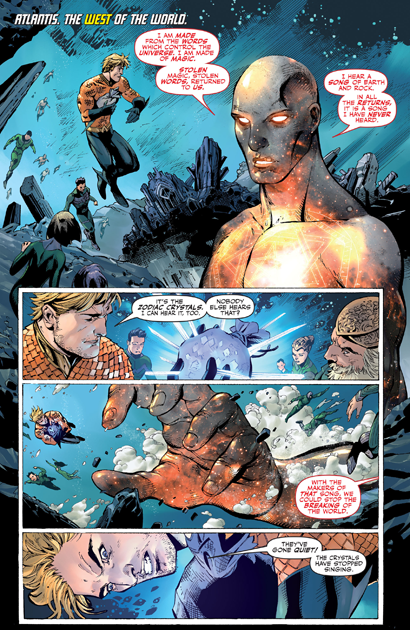 It's good for Aquaman that his mythos is playing a major role in JLA.